The particular setting, the function, or even the organisational scheme is often what allows us to identify a city. 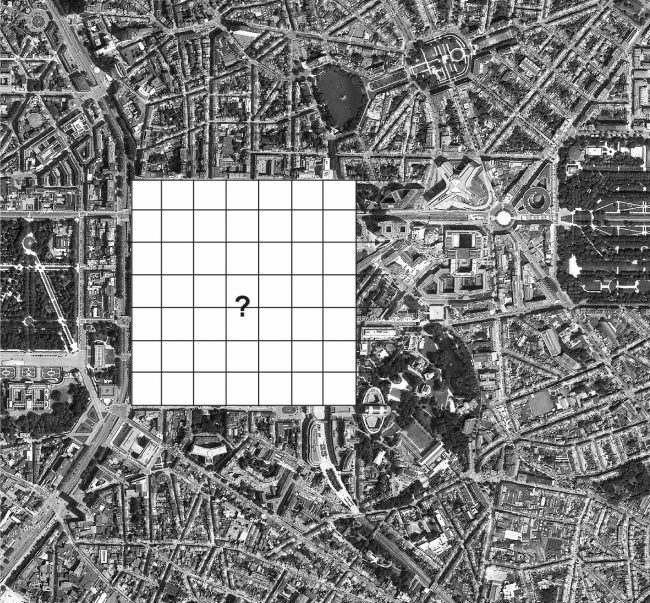 However, the complexity of today’s cities makes a categorical taxonomy a complicated venture that might easily oversimplify and downgrade the multiple characters of a city. Of course, the ‘administrative city’ is about the concentration of an administrative body, but is precisely the coexistence between ‘administrative’ and ‘city’ what allows the first one to be operative. Yet this coexistence is also the source of disruptions and instabilities to the urban environment. Let’s look at the example of Brussels. It is the capital of Belgium but also the capital of Europe, so it has been forced to cope with a double administrative power. The crush between the administrative body and the city has been yet magnified by the fact that the ‘administrative’ is driven by the European Union and the ‘city’ by the Belgian government, two independent agencies. Hence, the institutions of the EU have developed and administrative district within the city by installing a number of extravagant and unrelated buildings. This event has caused trouble to the existing fabric by creating a dysfunctional area that lacks any ambition for the city. 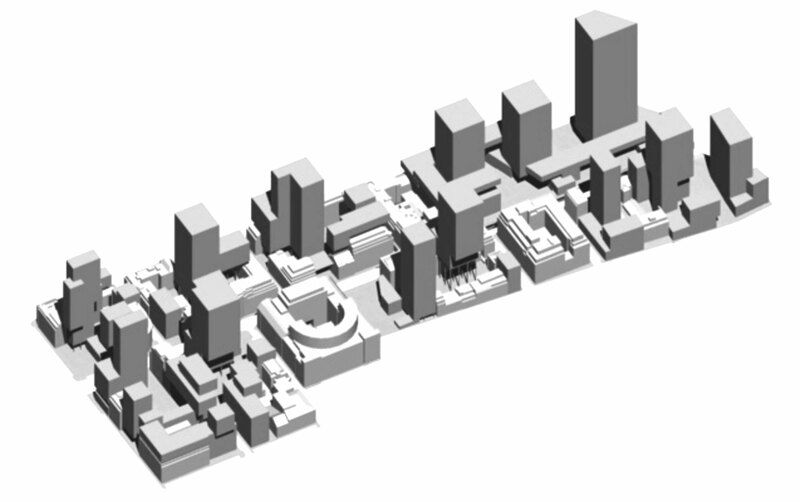 Plan for the Rue de la Loi in the European Quarter of Brussels. be the symbol that represents Europe in Brussels.4 Paradoxically enough, although the majority refuses the hierarchical model of a capital based on a monumental city, the final agreement establishes that the way of representing Europe should be materialized in the form of a Landmark. In the following lines, I will focus on the resulting urban project by identifying why, and challenging how the EU has used the Landmark as a tool of representation, so I’ll avoid further discussions on the current opinions about the issue. Hence, the outcome of this criterion has in the recent years materialised into an urban project to redevelop the European quarter. Coming up from the recent growth of the EU –more than 10 countries have been added to the Union since 2004– the commission stated the need to expand its outdated offices by doubling the current amount of floor area. This need emerged shortly after the official discussions about the European quarter in 2001. Thus, in 2008 the state and the EU set the blueprint of the masterplan and announced an international competition to accommodate new office buildings into the area. By that time, the creation of a proper identity and the integration with the surroundings were the hot topics to be tackled, so they both set up the guidelines for the competition, as seen on the brief.5 Although the competition entries were diverse in their approach, especially to the urban requirements, all of them proposed a particular landmark build- ing to produce a certain degree of significance and differentiation ( fig. 04). The winning proposal by Atelier Portzamparc evidenced, as in contrast to the others, the actual policies from the EU towards the city. 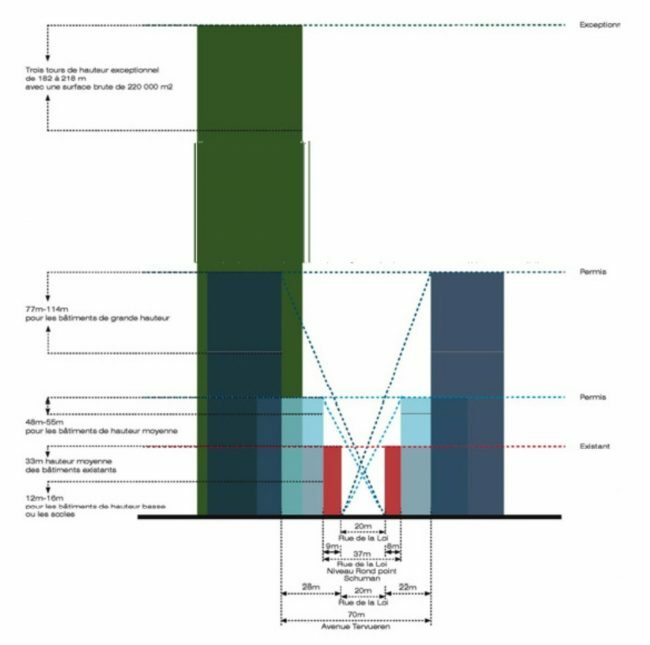 First of all, the proposal claimed to improve the public space, by adding residual spaces only made available since the blocks were redistributed in high-rise buildings, in order to obscure the clear intention of the overall plan. What the project proposes, in the end, is an attempt to optimise the relation between the plot ratio and the high of the building, so it can be merely depicted through a simple regulation of highs and alignments ( fig. 05). The city that it produces is a city driven by real estate speculation, where the stakeholders determine the volumetry of the building within the permissive boundaries of the plan and yet the budget. Hence, the proposal establishes the notion of the landmark through a number of towers that will be driven by fortune, different from others that proposed a stronger and more cohesive image of the European government. This choice gives us an insight of the internal policies of the EU, which lacks the ambition to reaffirm and demonstrate its institutional relevance in Brussels. Therefore, the plan propels an average image of the European government, and it neither fits in a true generic and managerial plan nor a rotund representation of an established power. a unique and clear power behind the agency of the EU who is willing to determine and state the European power as one, so the president in charge is little more than an elected public employee. We shall not compare for instance the figure of the president of the United States with the president of the EU. On the other hand, the majority of the politicians that attend positions in the European commissions are either subservient of their own government or minor politicians. As a matter of fact, the job of the EU is mostly a bureaucratic machinery and less a political power. Fair enough, the multiple functions that the institutions play would require a more in-depth analysis, but for the sake of the argument, we should accept a common perception of the EU as a purely bureaucratic agency. Hence, both the lack of a de ned real power and the image of an administrative institution contradicts the very idea of a symbolic and determined capital city, and yet a representation through the traditional image of the landmark. Perhaps now, the landmark should represent instead the absence of a unique power overtaken by bureaucratic machinery. Let’s now look at the landmark as an urban tool, what represents and what should be the natural shift to a consistent plan for the EU in Brussels. The idea of the urban landmark and how it operates in the city was clearly stated by Kevin Lynch in his depth analysis of the city The Image of the City.6 Alex Lehnerer also established a criterion to determine landmark buildings and, in addition, posed the strategic use of them as a responsibility from the state. The instrumentalization of the landmark has indeed the purpose to generate a certain relationship with the built environment ( fig. 06). As a matter of fact, the ‘landmark’ can only be perceived in contrast to the others. How- ever in a city, it generates a specific moment that will eventually change or disappear. That was the case of the UN building in New York, which once set the highest point of the surrounding until the Trump Tower surpassed it ( fig. 07). In addition to that, the city generated around the landmark creates a static condition of the urban environment, whose elements can only dialogue with the concrete and established landmark. The fact that the EU is being conceived as a set of landmarks, that can only evolve to an ultimate and top end landmark, starts to create suspicions not only about the representation of its own nature, but to the potential contribution to the city as a dead end purpose. Hence, the actual project conceived as finished group of high-rise building denies from the beginning any possibility of integration with the surrounding by establishing a top-down plan that provides a ready-made image of the city. Perhaps, it should instead consider the event of time as a crucial mechanism of integration, especially needed in a long-running project such as this. 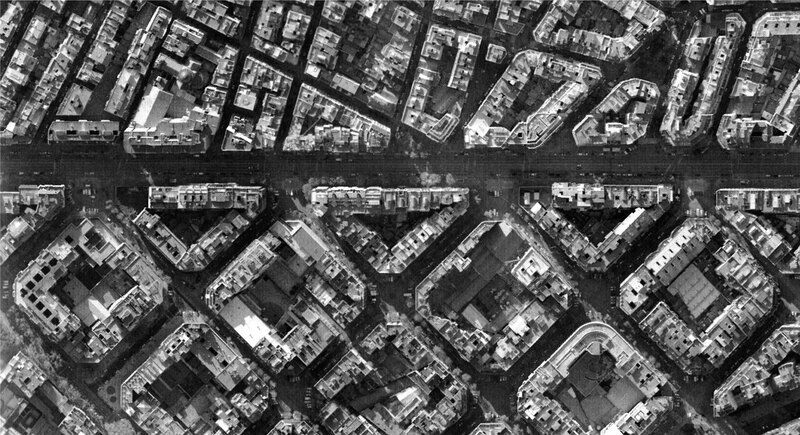 To explore the static urbanity of the landmark, or group of landmarks, we could analogously relate the urban project to those developed after the 3rd and 4th CIAM, when the city became an overall functional problem rather than a study of their neighbourhoods and a discussion between the ground and the building form. 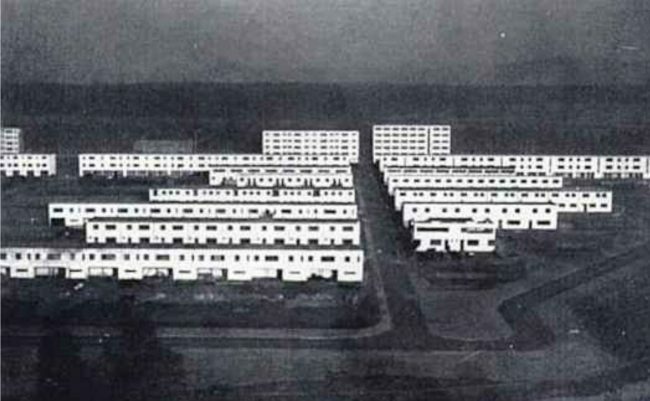 The modern housing projects of the 1930s, such as the Siedlung Dammerstock by Gropius, fostered urban development’s where the project became unitary, monolithic and simultaneous, and the absence of time from the work suggested a lack of will to incorporate the surrounding.8 As a result, these projects have filled the outskirts of European towns and cities with the inability to represent anything more for the city than isolated incidents ( fig. 08). A similar isolation could be posed to the current project of the European Quarter, now from the uniformity of a plan that produces a number of static towers constrained by their heights and alignments. In fact, thinking that a plan that produces towers, driven by real state speculation within a concentrated area, is an opportunity to engage with the city seems a naïve, or rather too smart, proposal for an area already detached from its ur- ban context. Instead of regarding only the construction, if the project would look at the city as an urban process, with different layers and actors that intervene in, it would be able to produce a more dynamic and integrating development. For instance, a project that disentangled these elements and pursued the idea of integration, rhythm, and time was the one of ‘Urbanization’ by Ildefons Cerdà. Thus, a new revision of Cerdà’s theory could unveil a different approach to the problem of integrating the EU in Brussels, and therefore, raise a new possibility to develop a more resilient and coherent project for the European quarter. anticipation and concentration of decisions. Later on, the process follows the division and occupation of the land, now released from a unitary plan, so they can develop in a slower rhythm to build up the necessary richness and diversity of the city. Yet ‘urbanization’, ‘plot division’ and ‘construction’ had their own pace and moment into the whole process, but they were all equally incorporated into Cerdà’s plan. 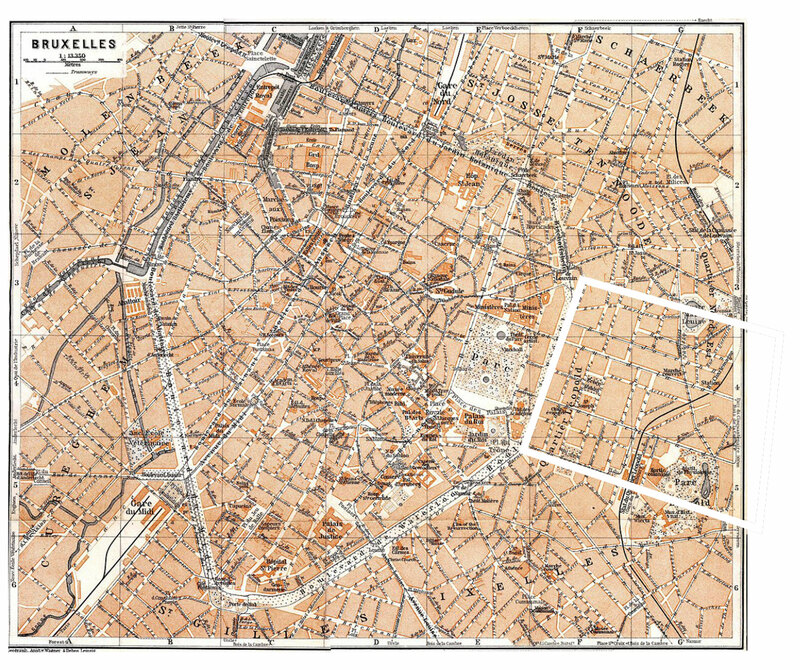 Above all, the layout still remains as the absolute expression of the process of urbanisation, which allowed to the following ones to produce a range of multiple variations. How to strategize the layout to introduce a new city into an existing one? a scheme against representation and so forth, but also as a mechanism of integration and as an answer to a socio-cultural threat for the urban integrity. Pursuing that ‘threat’, perhaps in the form of a demand, an improvement, or a simple turn of an established model, i.e. different transportation, economy, etc., might be the question to confront today an urban project of such entity. In the case of the Administrative City, the main argument should stand for a new conception of the bureaucratic power in a city, accepting its administrative nature in the form of a managerial development instead of becoming a self-representation in the form of a landmark, which is nothing but a remaining induced concept for an institution. to conceive it as a tool instead of a threat. As stated by Charles Perrow, the understanding of bureaucracy as the most efficient way to operate complex organizations has not yet acknowledged, and thus explored. 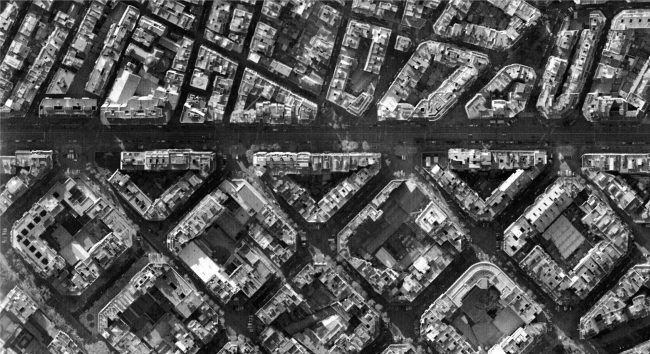 The typical flaws and unwilling procedures are, according to him, the result of a wrong appliance of bureaucracy.16 Exploring how to produce a consistent plan for a bureaucratic agency therefore, might be the answer to deal with the problems of the European quarter: from the need of a true acceptance of its identity to a contribution to the existing city fabric. 2 ‘Report Brussels 2001’, was commissioned to Rem Koolhaas in order to generate a larger discussion about the state of European institutions in Brussels. 3 Ibid 1. 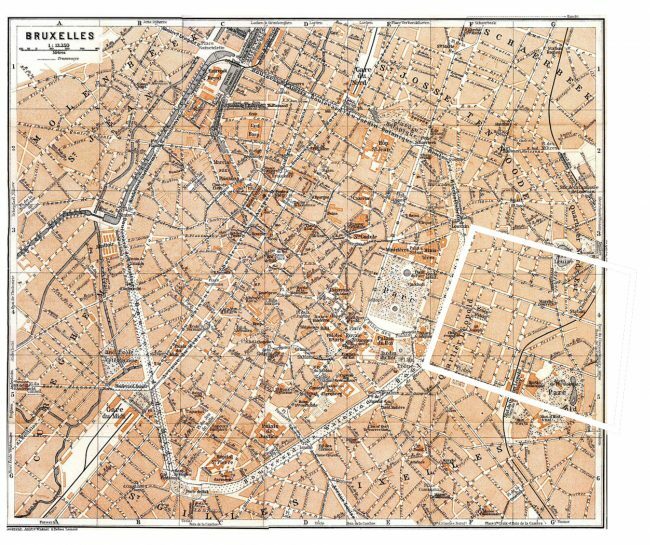 According to De Geyeter, the city of Brussels is a collage-like composition. It is made of patches, of different and unrelated episodes which have give a particular incoherent shape to the city. 4 Ibid 2. The Landmark and the Symbol, were two main ideas discussed in the report.